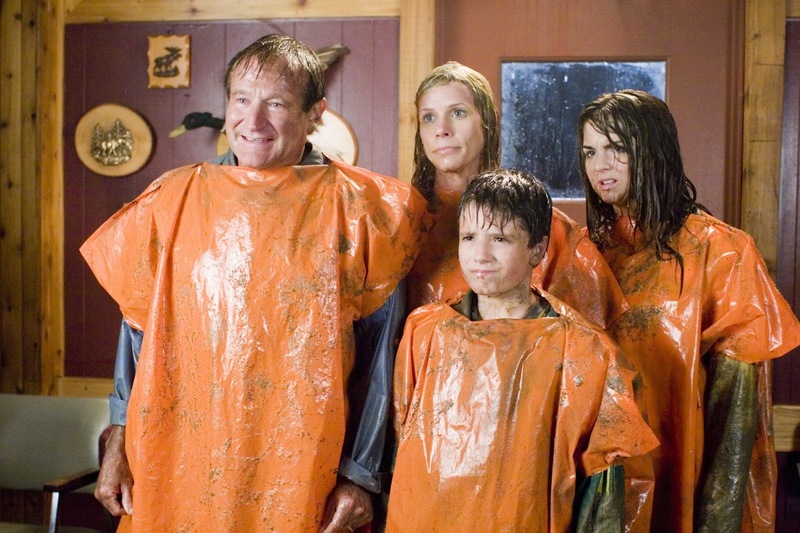 A family comedy that is marginally better than it could have been, RV offers little that is new but does ride star Robin Williams' talent to some funny moments. Bob Munro (Williams) is struggling to hold his typical suburban family together. Teenaged daughter Cassie (JoJo Levesque) is in full blown rebellion mode, and her young brother Carl (Josh Hutcherson) is struggling with self-esteem issues due to his relatively short stature. Bob takes his wife Jamie (Cheryl Hines) for granted as he slaves away at a corporate job, working for heartless boss Todd (Will Arnett). When Todd demands yet another immediate report and a client meeting in Colorado, Bob decides to not tell his family that he again has to put work first, and instead converts the family's Hawaii vacation to an RV trip with a fortuitous destination of Colorado. Renting a garish green RV, the deeply disgruntled family hits the road with Bob hoping to secretly steal away work moments. The Munros soon run into trouble with their RV's plumbing system, and are helped by the eternally happy Travis and Mary Jo Gornicke (Jeff Daniels and Kristin Chenoweth). The Gornickes are a seemingly simple family who have made RVing their life, and as far and fast as Bob and Cassie try to get away from them, the Gornickes always seem to be there. With Bob's attempts to combine work with the vacation stymied at every turn, the family trip threatens to implode into a full-blown disaster. Directed by Barry Sonnenfeld and written by Geoff Rodkey, RV is as predictable as a road trip comedy can be. A stressed out family is forced by cramped circumstances to reconnect, rediscovers the meaning of life, and Dad recalibrates his priorities, all in a brisk 99 minutes of running time. The movie's destination is clear from the opening few minutes, and it's just a matter of how many laughs Williams can generate along the well-marked road. He achieves a success rate of roughly 50 percent. Some moments are funny, if not quite original. Bob tangles with the RV's backed-up sewer system, and it's quite obvious where the all the yucky human waste will end up, but Williams makes the scene hilarious. A battle with a family of raccoons also registers on the funny meter. Less successful are the tiresome runaway excursions through the Colorado wilderness, and the numerous encounters with the Gornickes are quickly tiresome. Williams does occasionally let loose with some ad-libbed riffing, and again is only partially successful. The supporting cast members are stuck in singular notes. After establishing their characters' identities the likes of Jeff Daniels, Cheryl Hines and Kristin Chenoweth have little to work with in the way of development. Singer JoJo Levesque emerges with the most prominent performance as pouty daughter Cassie, overflowing with enough adverse attitude to flood the RV in a swamp of negativity. Will Arnett plays the inevitable oily corporation man, the mortal enemy of a healthy family life. RV is unable to negotiate any sharp or original turns, but it does offer the snug comforts of home and the still potent talents of a master comic.